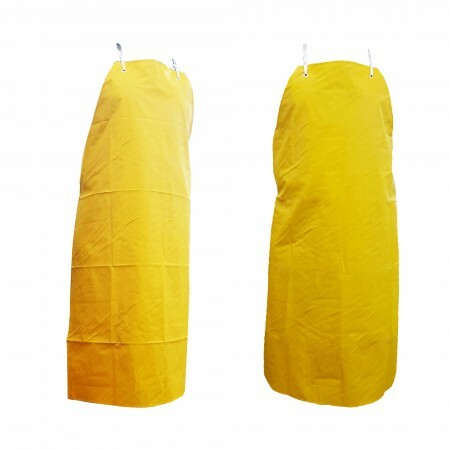 PVC anti-chemical yellow apron thickness 0.4 cm., wide 70 cm., Length 100 cm. Rope tied to the back and neck. 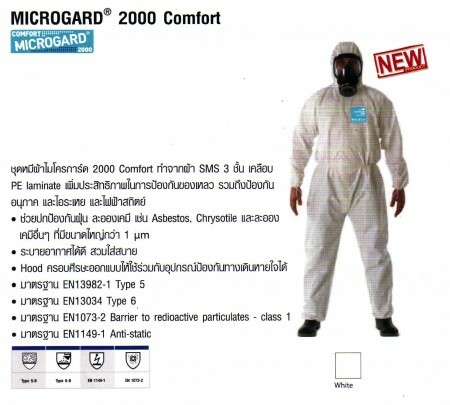 To protect chemicals and dust. Easy to clean. 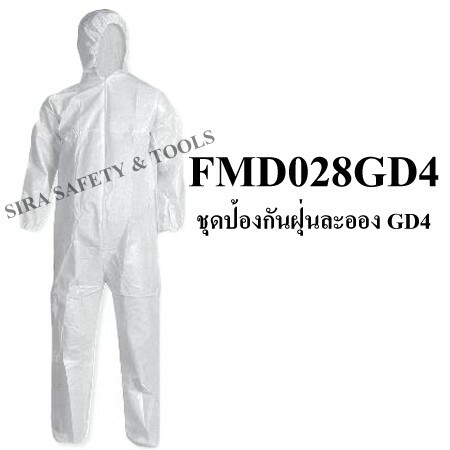 Use for wet and dry working. 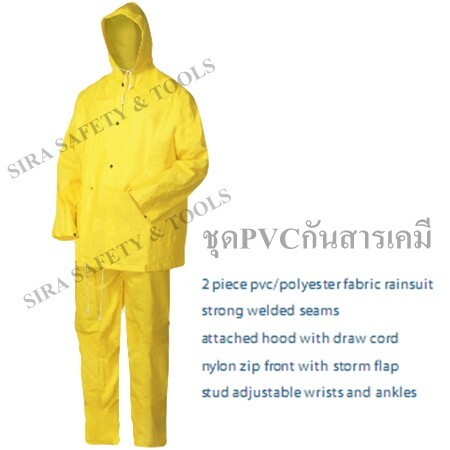 The rain and chemical protect suit separation of two pieces made of PVC, Polyester fiber mixed with thick coats and hats. Wrist strap and a zipper front and pants. 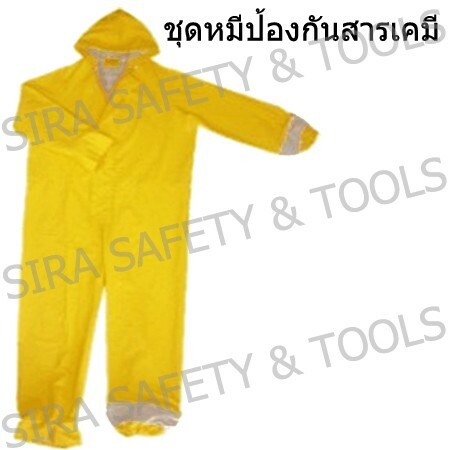 Yellow anti-chemical coverall produced from the well-thickness PVC with zipper and button protect both inner and outer chest, elastic arms and legs inside. 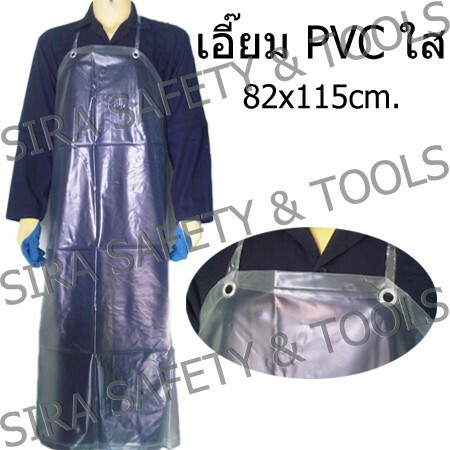 Size S, M, L.
Clear PVC Apron Size 82 * 115 cm length for using in food industry. Easy cleaning. 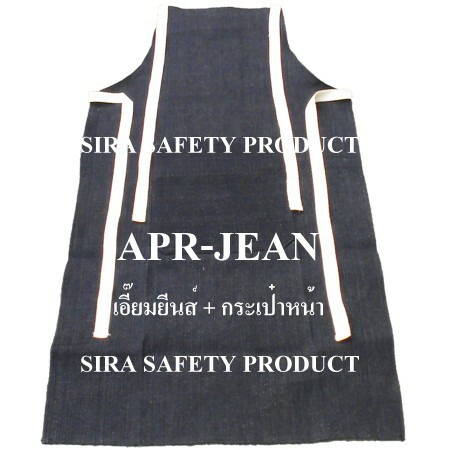 Made of denim thick fabric with belly pocket. Made to order is available. 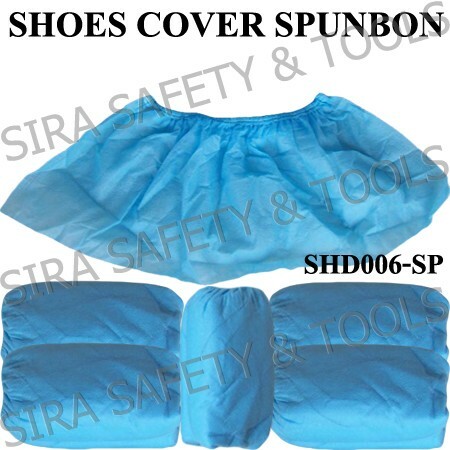 Disposable shoe cover both a plastic PolyEthylene (PE) 0.06 mm thick and carbon fiber spun-bond suitable for use in clean rooms, or rooms that need to control the cleaness. 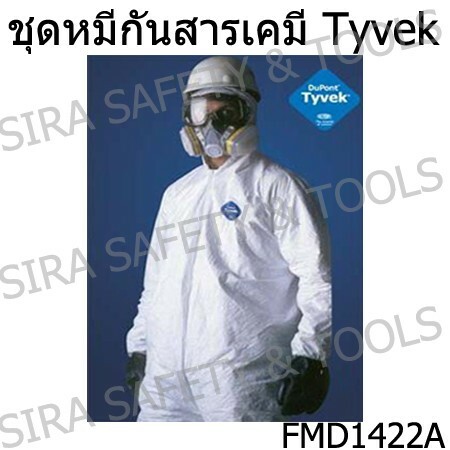 Chemical protective Coverall suit, DUPONT TYVEK 1422A produced form TYVEK fabric to prevent loss of its surface. Anti-static. 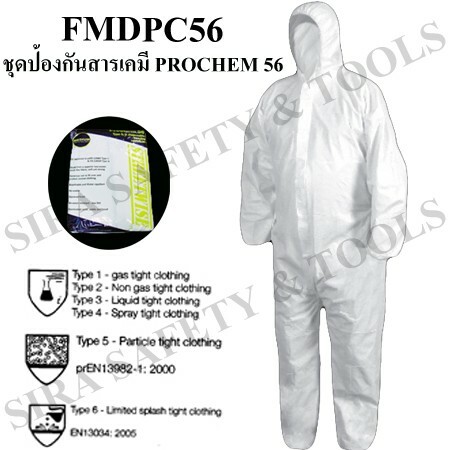 Disposable Ideal for dust and chemicals that are harmful to the body. 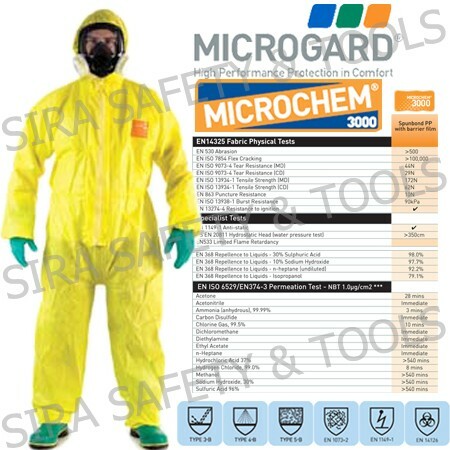 Manufacturing standard EN1149-1, EN1073-2. 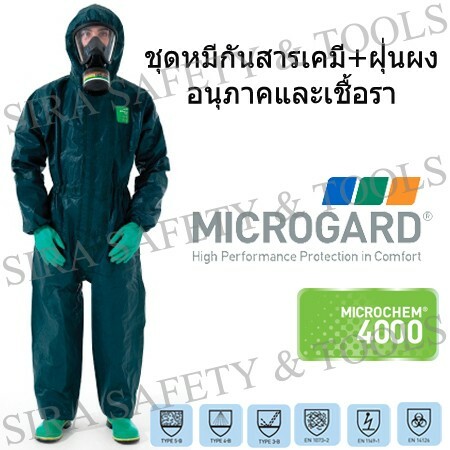 Dust and chemicals resistance coverall with hood produced from multi-layer microfiber (SMS), breathable, anti-static electricity , Anti-chemicals and > 3.5 micron dust. 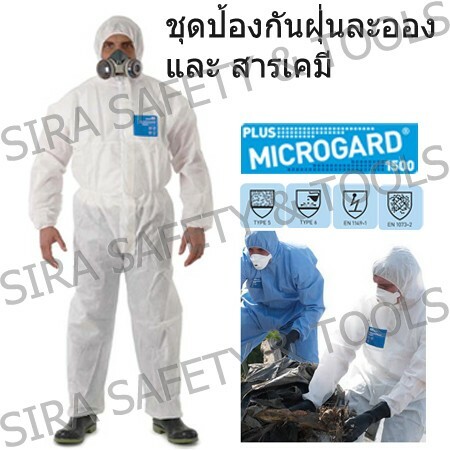 Designed for using with respiratory protective equipment. 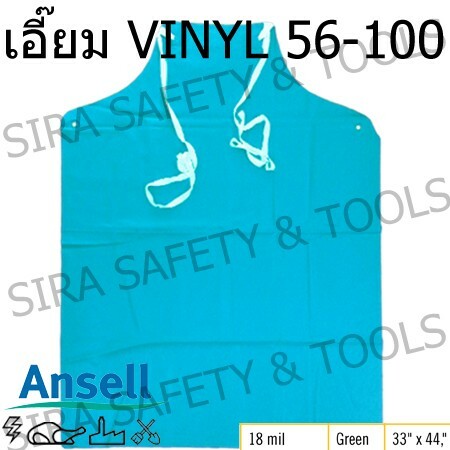 Increased durability in use with a 3-layer stitched seams for safety. Standards EN13982-1 Type 5 and EN13034 Type 6.